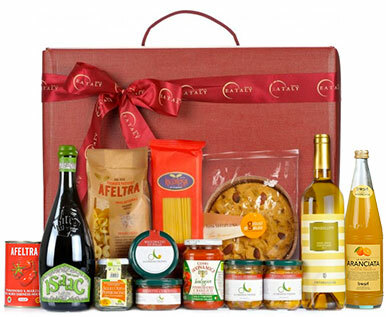 Eataly selects top quality items… food and drink products that express their own history, their home territory and Italy's traditions of gastronomic excellence. When a business chooses a partner to implement its company gift policy, both parties should share certain basic values and goals: after all, each gift must be an expression of the giver. Eataly specialises in assisting companies to identify gifts that project an image of premium quality, arousing admiration and gratification in customers and employees. We will be happy to collaborate on studying and implementing the most suitable gift policy for your company. You may choose between our huge range of gift packs or have us develop special solutions tailor-made for your company. Alternatively, you can opt to make use of our Prepaid Cards or Gift Vouchers, usable in our points of sale or Online Store, leaving the pleasure of choosing the gift to its recipient. 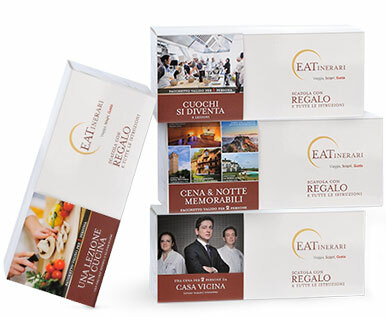 If you prefer to make a gift of unique experiences, check out the EATinerari boxes: these offer cookery courses, product-tasting events, visits to production sites and meals in top Italian restaurants. For further information (no obligation involved), fill in the form below. Choose from our wide range of Gift Pack options containing high quality food & drink products, or place your own tailor-made order. 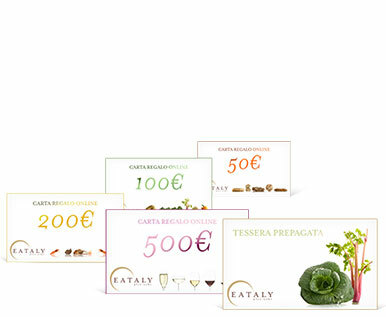 Prepaid cards and Gift Vouchers of any value, valid both in Eataly points of sale and in the Eataly Online Store. Make your gift someone's unique experience: courses, tastings, lunches and dinners in top restaurants.